The book describes the current developments that are taking place in the market for retailer brands. The supermarketification of discount retailers has had a huge impact and forces mainstream players to reconsider their strategy, Furthermore, we see a decline in brand loyalty from the value-focused younger generation. This fuels continued market share growth of private label and offers opportunities for initiatives at the value-added end of the market. 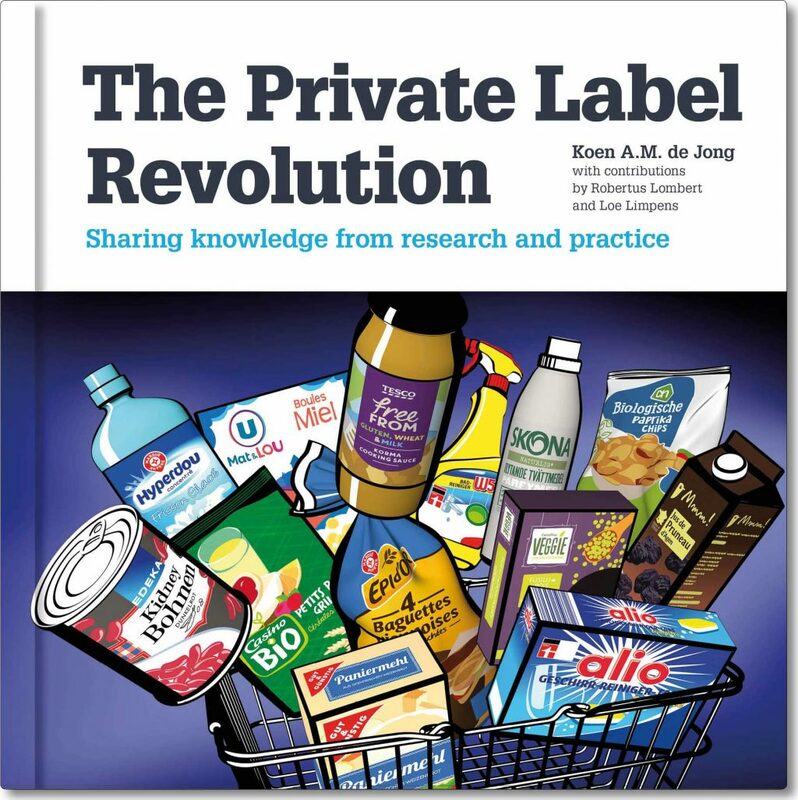 The Private Label Revolution probably is the most comprehensive publication on retailer brands to date. Many years of working in the international private label industry as well as extensive research form the foundation of this book. It shares practical knowledge and experience that provide a deeper understanding of the complexity of running a private label business in an extremely competitive market. Full colour, hard cover, 240 pages, over 200 photos and graphs. “Great book! Definitely a must-read for all those who work in retail. Very well describes supplier and retailer relationship. I particularly liked the part about building private label architectures and packaging design creation. The supermarketification of discount retail is an extremly interesting topic in terms of market trends. I enjoyed reading it”.